About Rp. 1 Billion/Person for Ph.D Dikti Scholarship | . 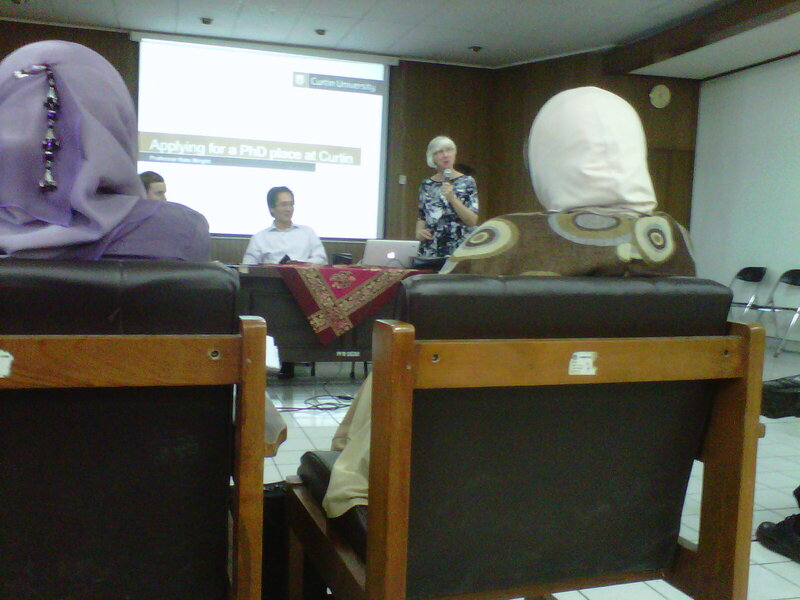 On 6-7th October 2011 some university in Australia gave presentation about their university at language education center of gadjah mada university (PPB UGM). The university are Curtin, Sidney, Adelaide and many more. After they had presented, the Dikti staff, Mrs Merry, gave an explanation about the scholarship. She explained why Dikti, the government institution which has a highest authority of high education, give 1,000 place for scholarship to study in Australia. The English course at PPB UGM now is for second time (Batch – 2). From this course Dikti hope all of participants pass the IELTS score above 6.0, because some university require IELTS score 7.0. Fortunately, some subject (it my subject :)), only require minimum IELTS scor 6.0 and Mrs Merry, as an agent for scholarship in Australia, give dispensation if some one who participate in this course have IELTS score only 5.5, but he/she have to attand to 10 weeks IELTS course held by INSEARCH. Fortunately it’s free. At the end of speaking Mrs merry said that if you have finished your study by Dikti scholarship, you must go back to Indonesia, because one person for Ph.D degree, our government needs Rp. 1 Billion.